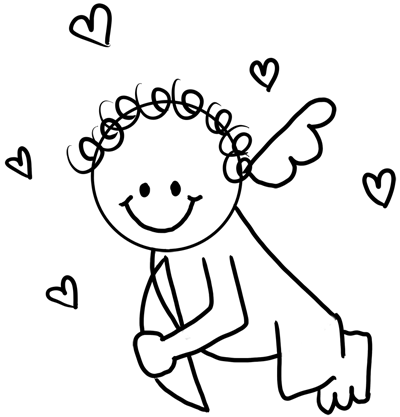 Do you want to learn how to draw Cupid for Valentine’s Day? 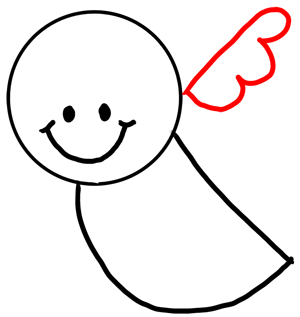 I have put together a step-by-step tutorial that will help you figure out how to draw a cartoon baby Cupid by using simple shapes to build up his form. This is an easy cartooning tutorial that preschoolers, kids, teens, and adults will enjoy. This cupid is built up almost completely by alphabet letter shapes…so with your help, your small children will be able to draw Cupid for Valentine’s Day. Enjoy! 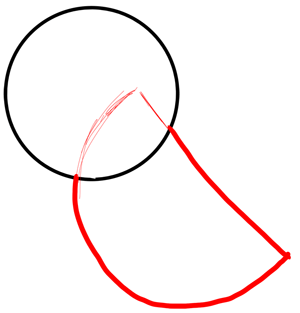 Here is a more complicated Cupid Drawing Tutorial. 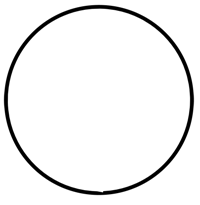 First draw a circle for Cupid’s face. Secondly, draw a backwards capital ‘D’ for Cupid’s body. 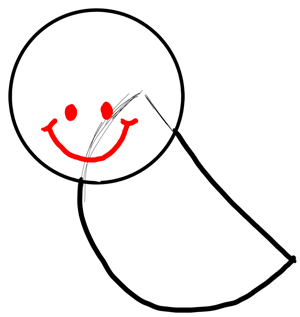 Now draw a smiley face by drawing 2 eyes and a smile. 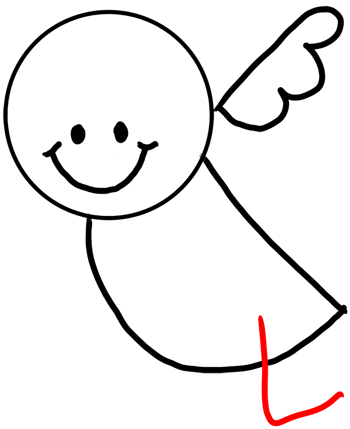 Draw a wing for Cupid by drawing a capital letter ‘B’ with an extra hump. 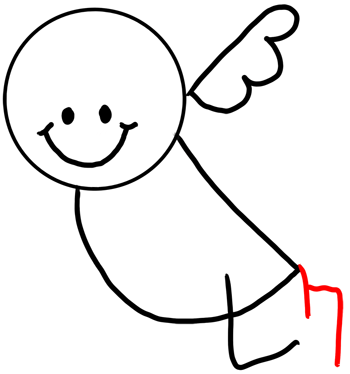 Draw a capital letter ‘L’ on the bottom of the capital letter ‘D’ for part of Cupid’s leg. Now draw an upside down number ‘4’ at the back of the capital letter ‘D’.